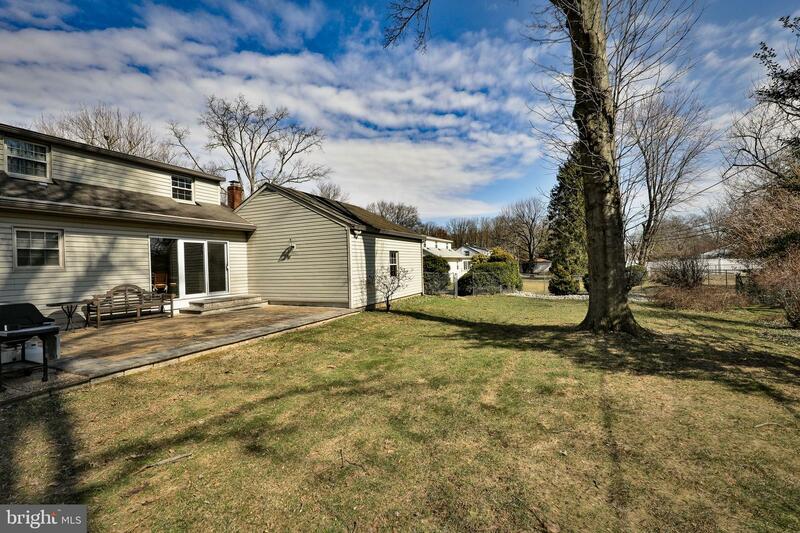 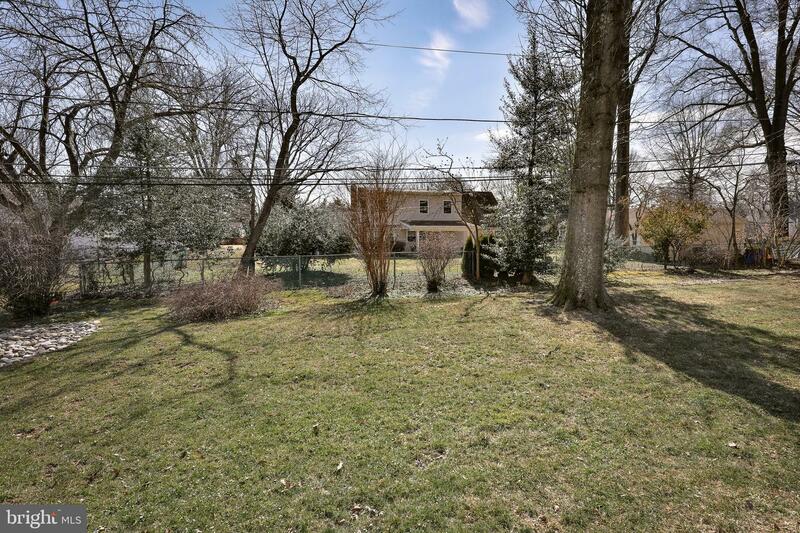 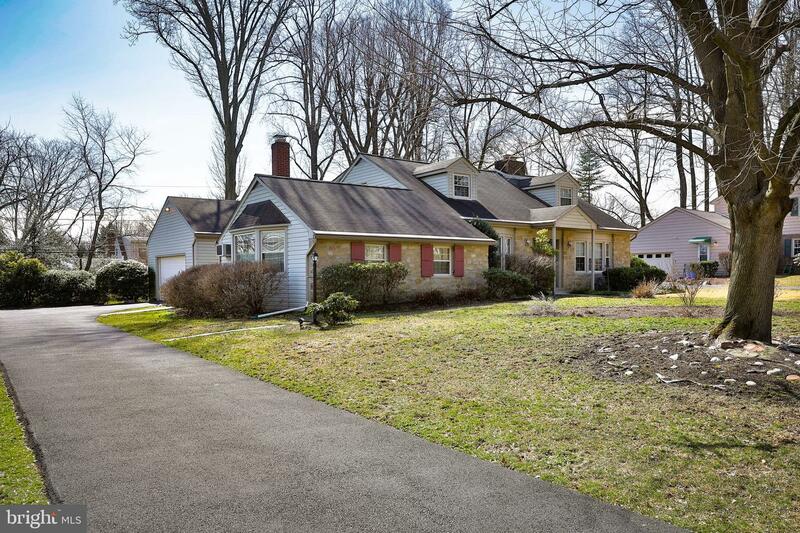 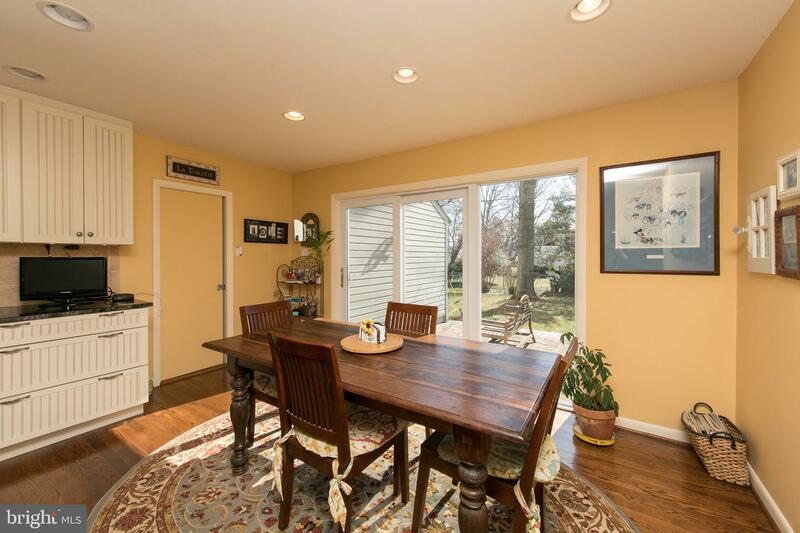 Rydal - expanded 4 bedroom, 2 1/2 bath Cape Cod on a beautiful quiet street located in desirable "Crosswicks" in Abington Township. 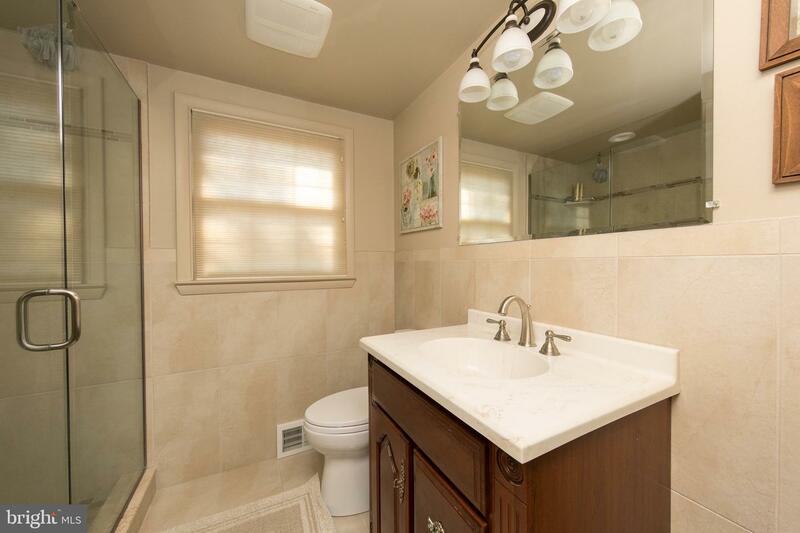 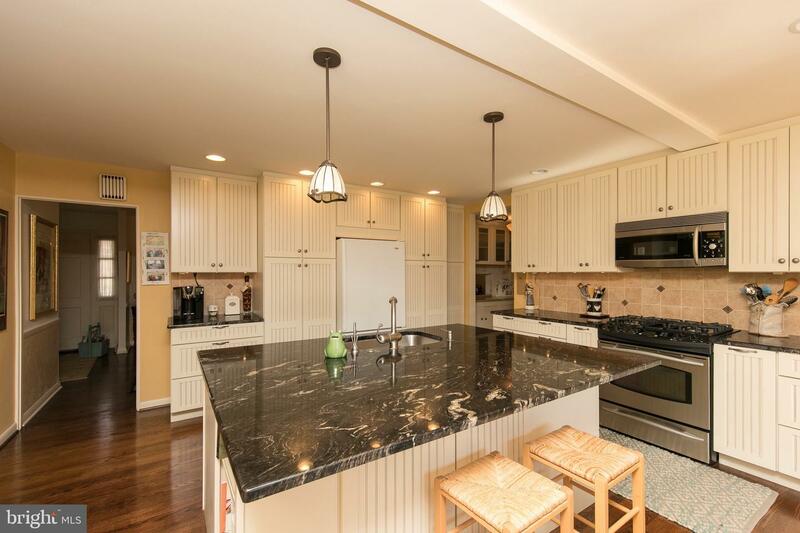 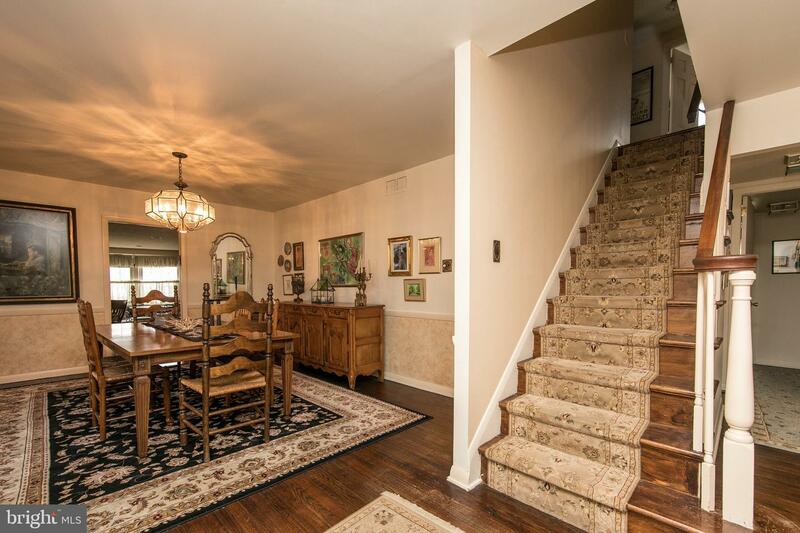 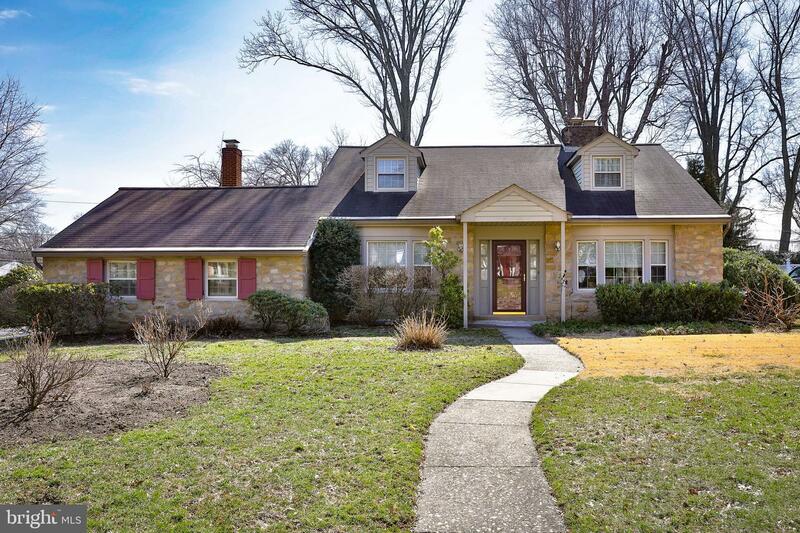 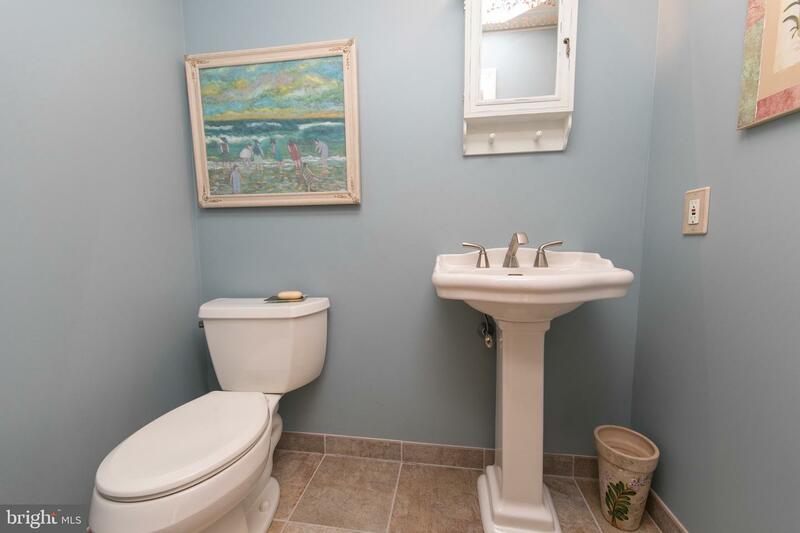 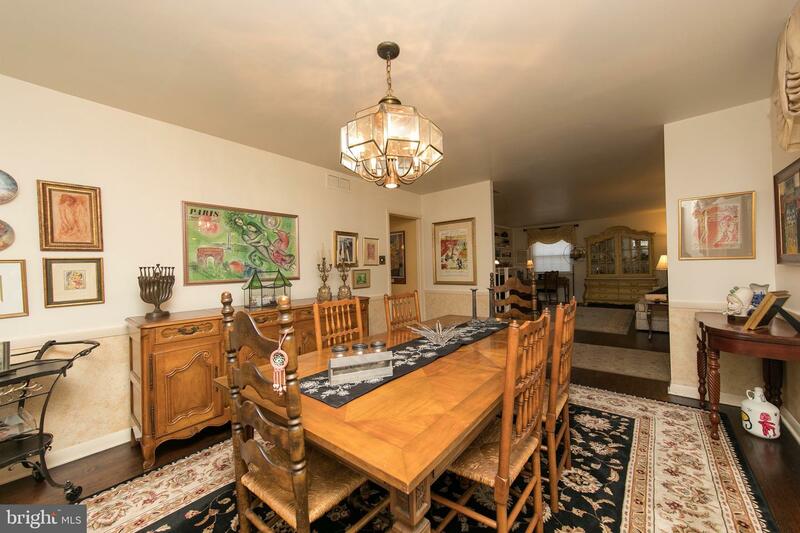 This property has been well-maintained and features hardwood floors throughout. 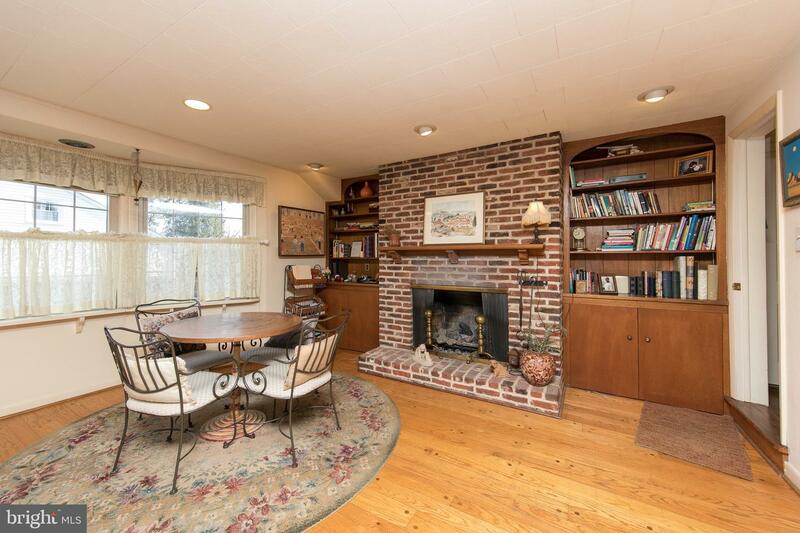 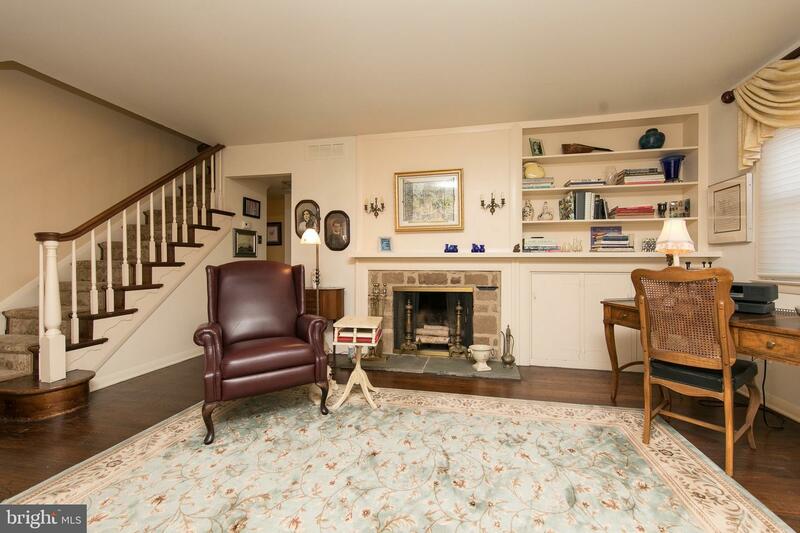 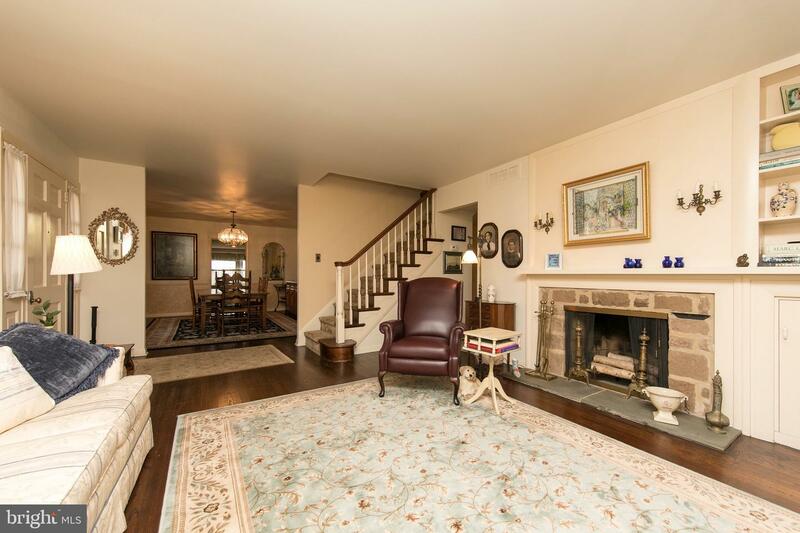 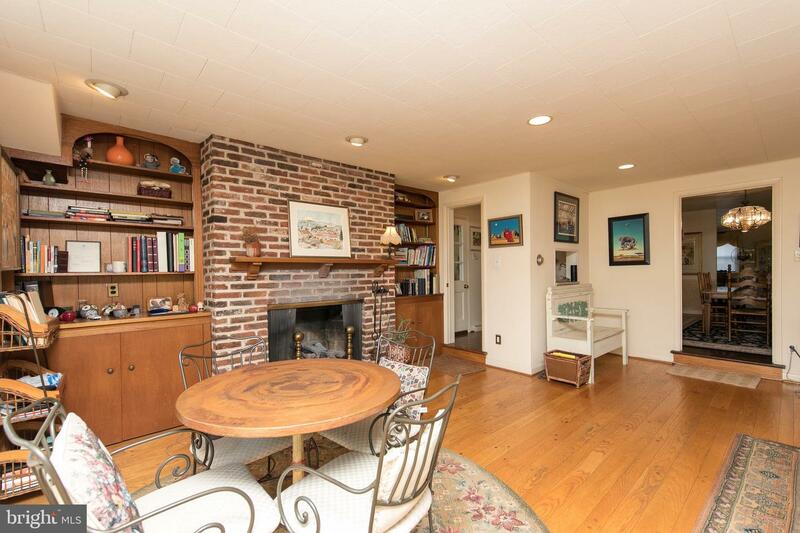 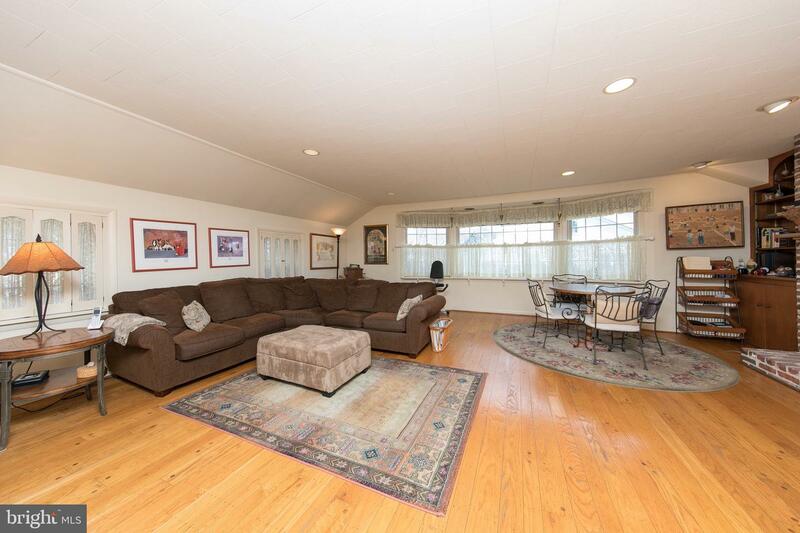 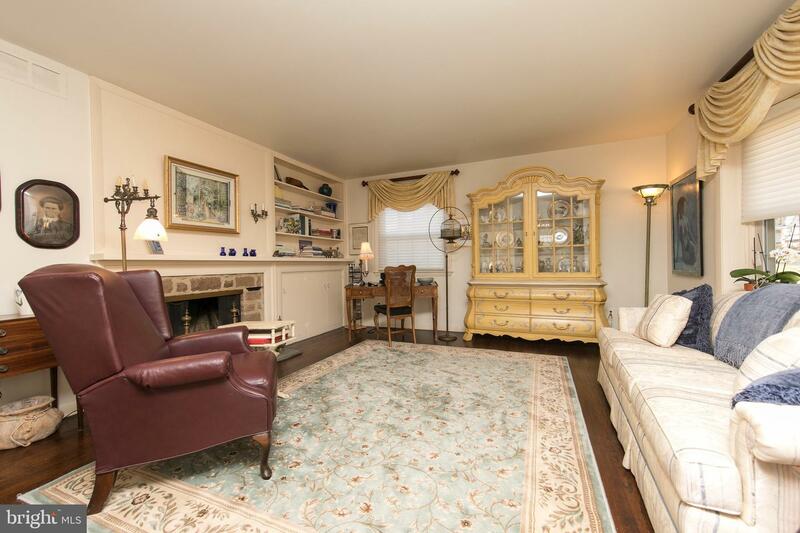 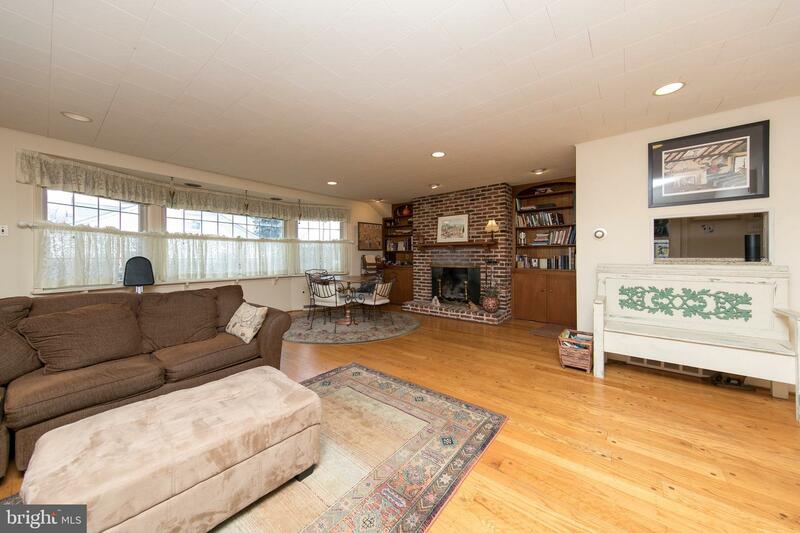 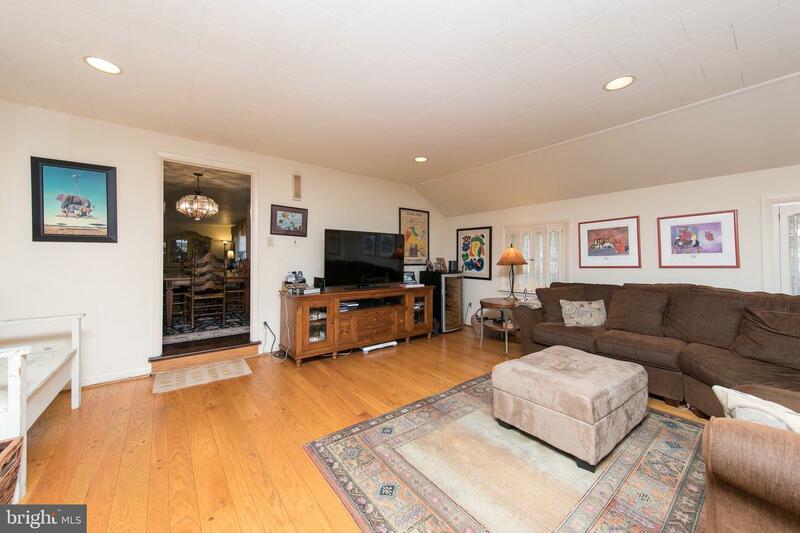 Spacious living room with stone fireplace and built-in bookshelves/cabinets plus a large front bay window. 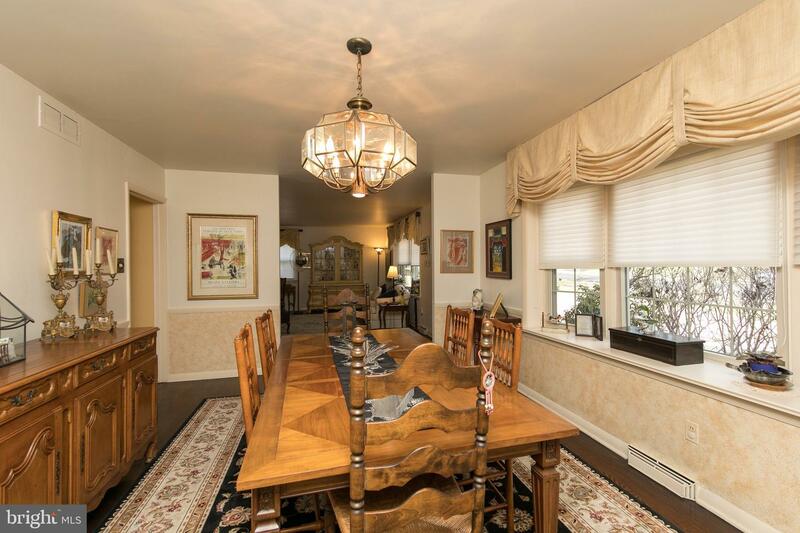 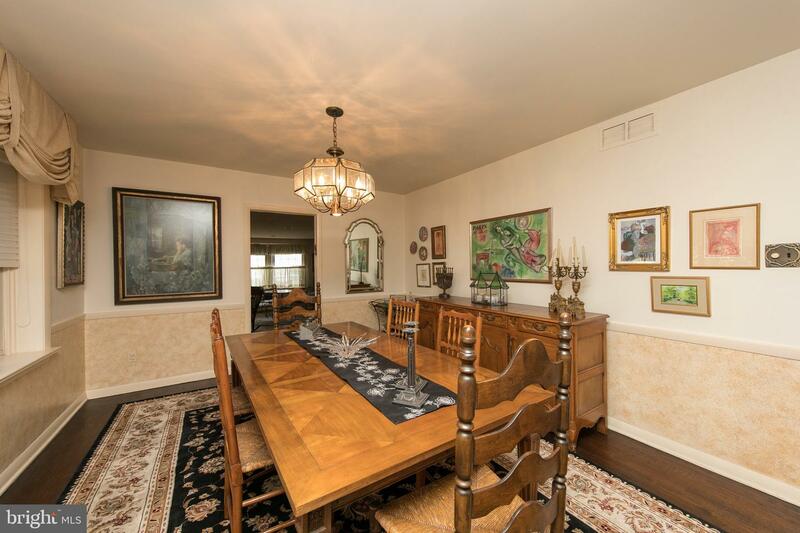 Formal dining room with front bay window leads to the 20' x 20' family room with brick (gas) fireplace, recessed lighting, bay window, random width hardwood floors and built-in bookshelves/cabinets. 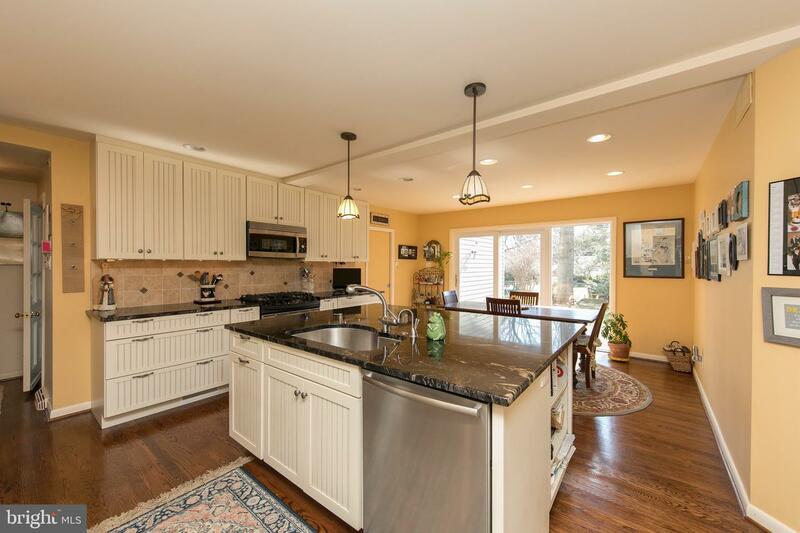 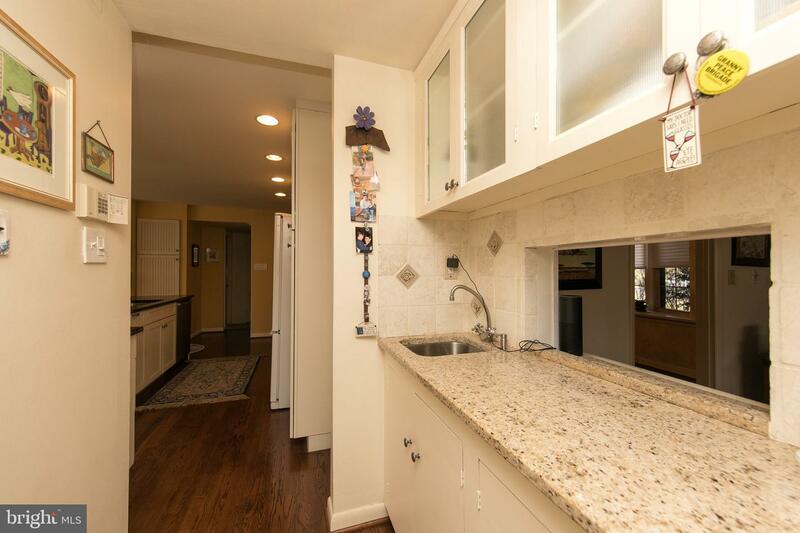 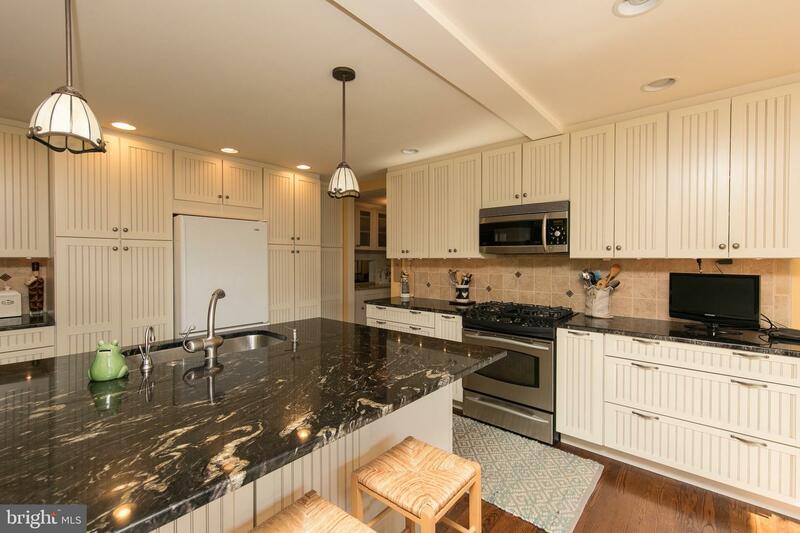 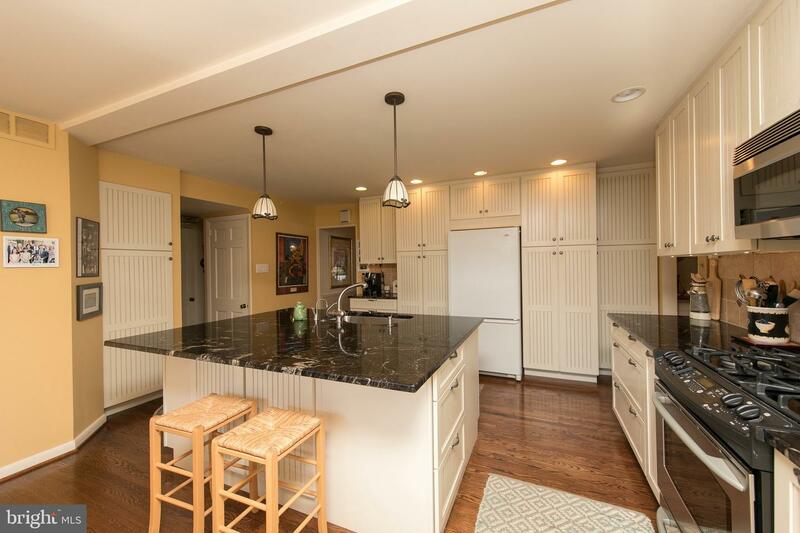 Lovely expanded kitchen with large center island and bar stool area, gas range, microwave, dishwasher, disposal, refrigerator, plenty of cabinet and counter space, granite countertops, ceramic tile backsplash and sliding glass doors to patio area. 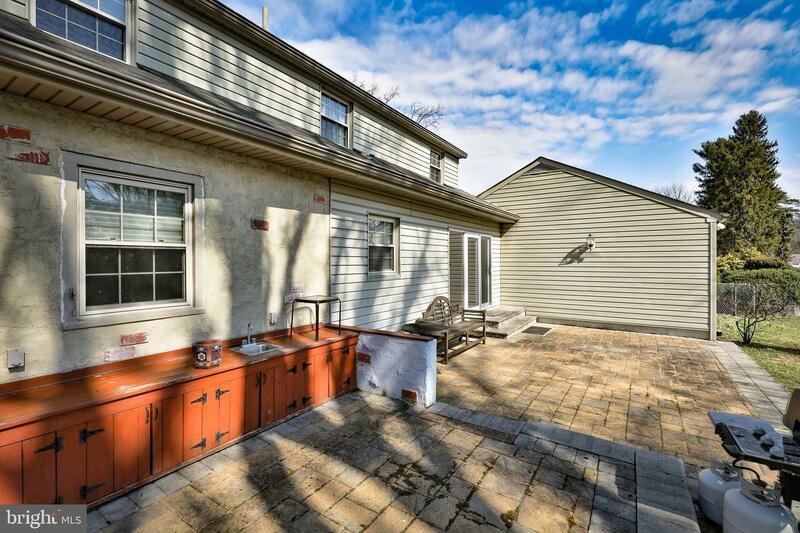 There is a pantry with separate sink that leads to the laundry room which leads to a 2nd patio and also to the 2 car attached garage with pull down stairs to attic. 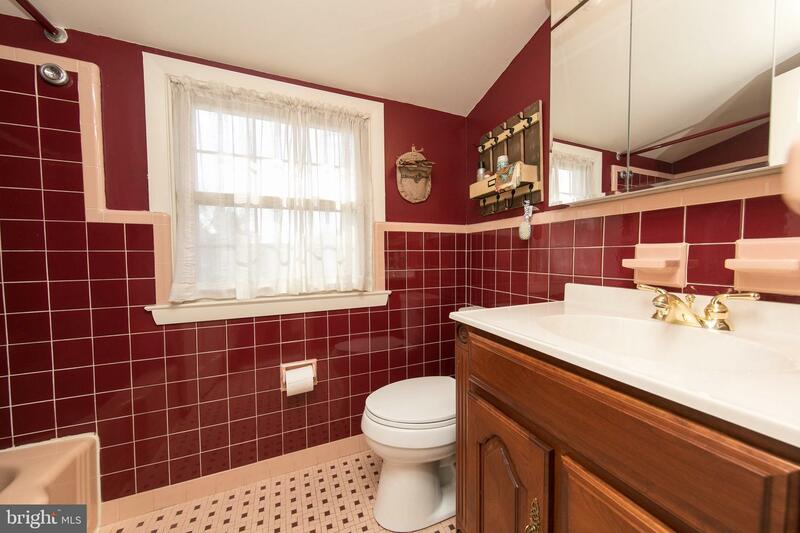 Powder room. 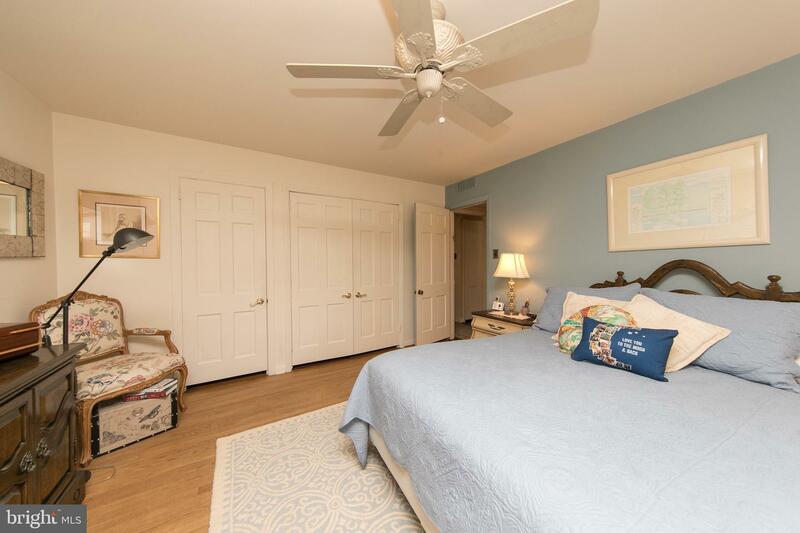 The first floor master suite includes the master bedroom with 2 closets and a ceramic tile master bath with stall shower with seamless glass doors. 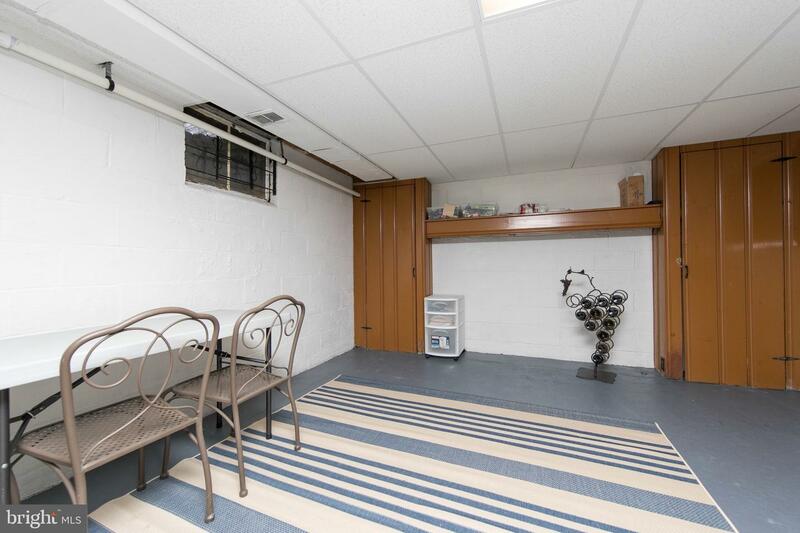 Hall coat closet. 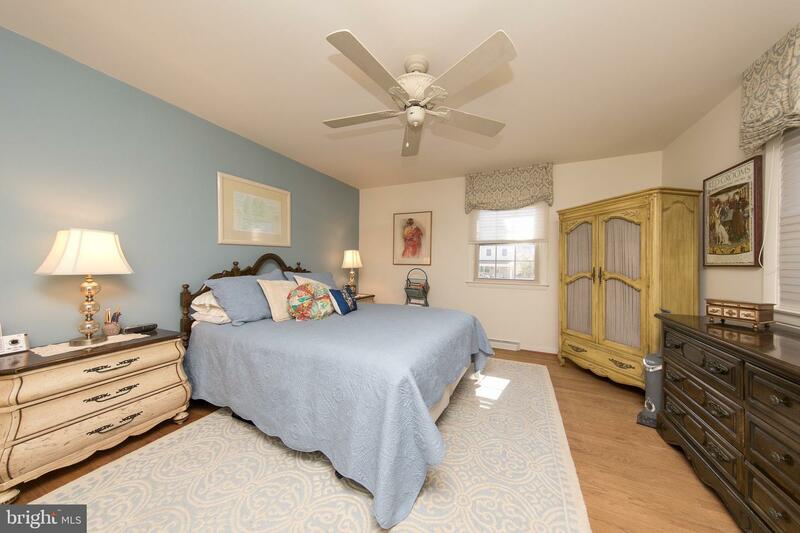 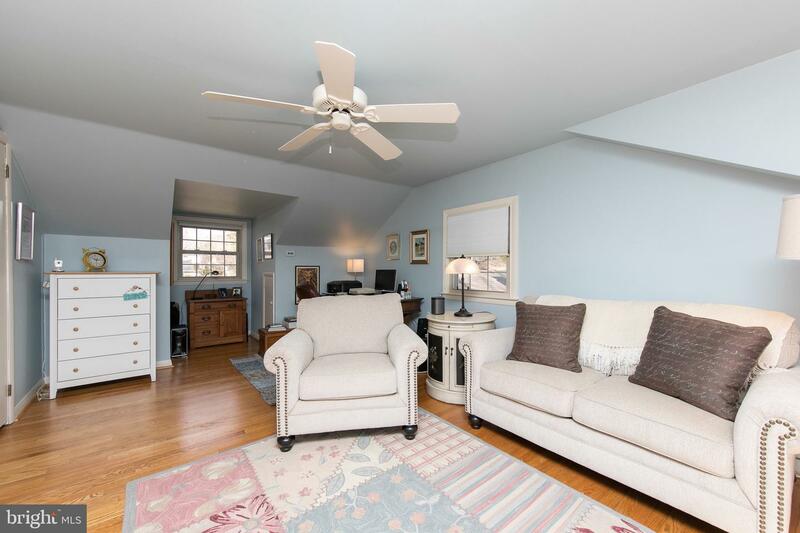 The 2nd floor features a large 2nd bedroom with ceiling fan and double closet, as well as extra storage under the eaves. 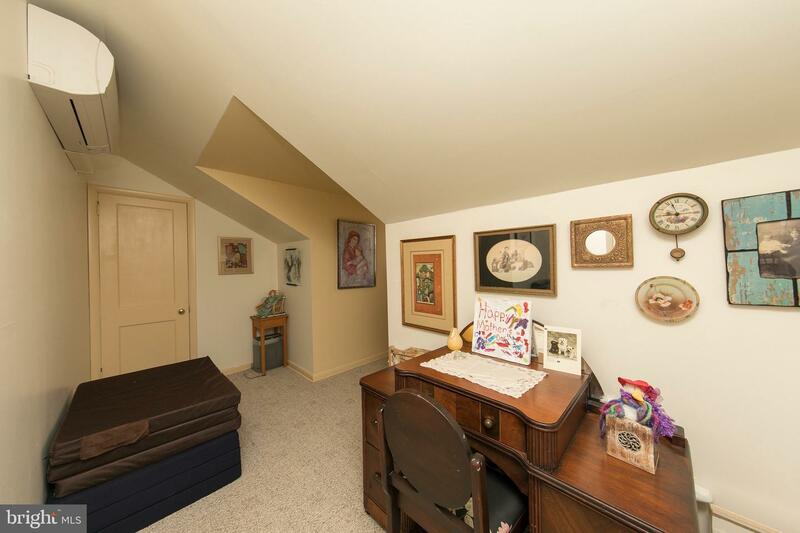 There is a 3rd bedroom with a ceiling fan and closet. 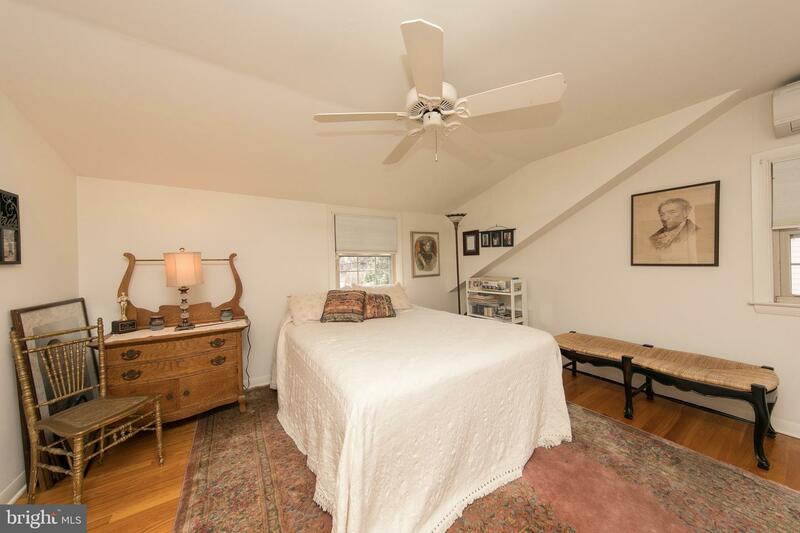 The 4th bedroom would be perfect for a crib or twin bed and leads to a cedar closet. 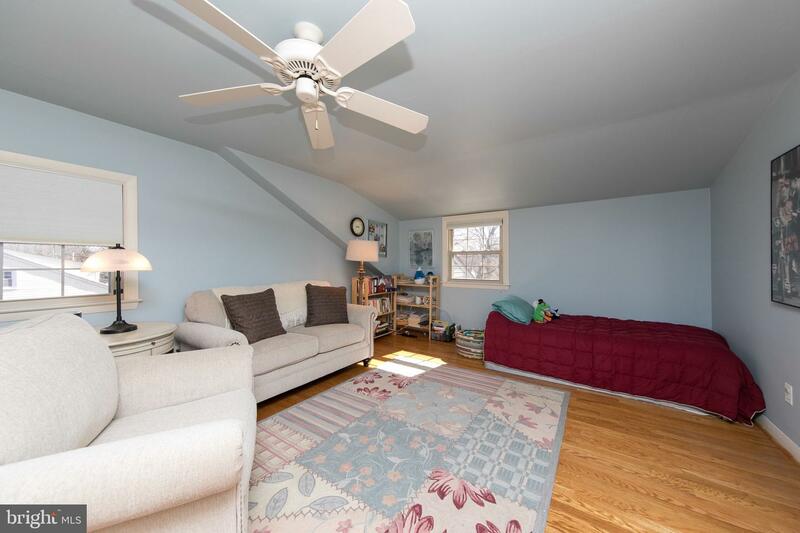 The basement is unfinished and features 2 storage closets, a utility room with gas hot air heater (2018) and c/a (2018), hot water heater (2018), utility sink with ejector pump, perimeter waterproofing system with sump pump, as well as a crawlspace. 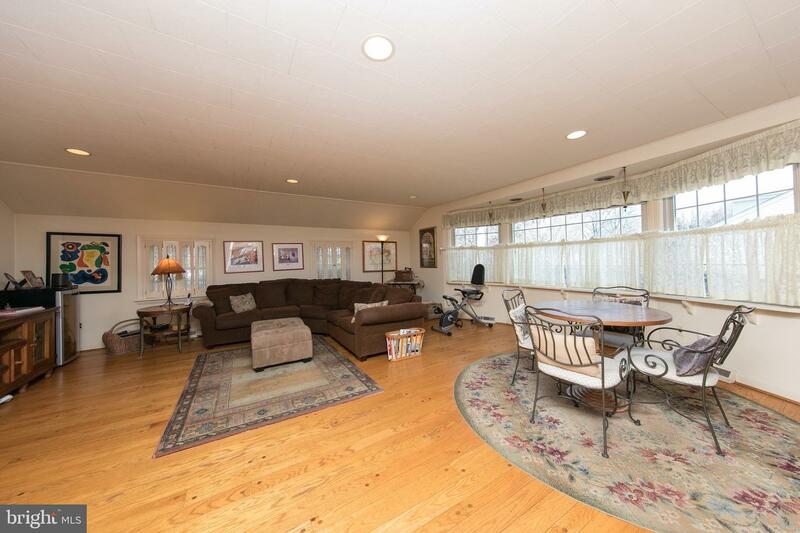 There are 2 a/c whole house units plus 2 split system heat and a/c in 2 of the 2nd floor bedrooms. 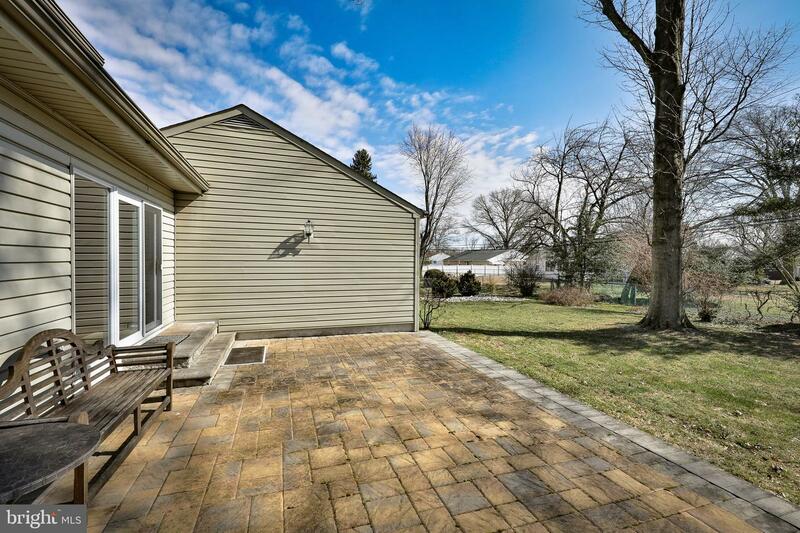 Newer replacement windows, transferable lifetime warranty for the leaf guard system and generator. 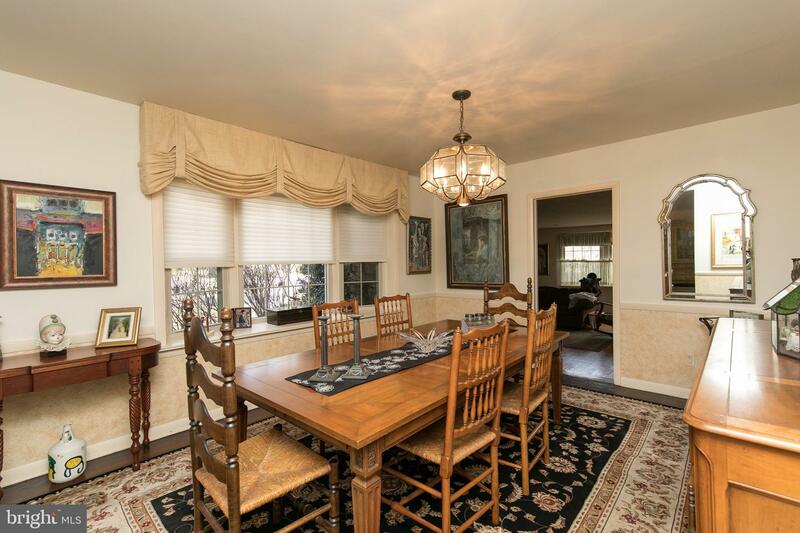 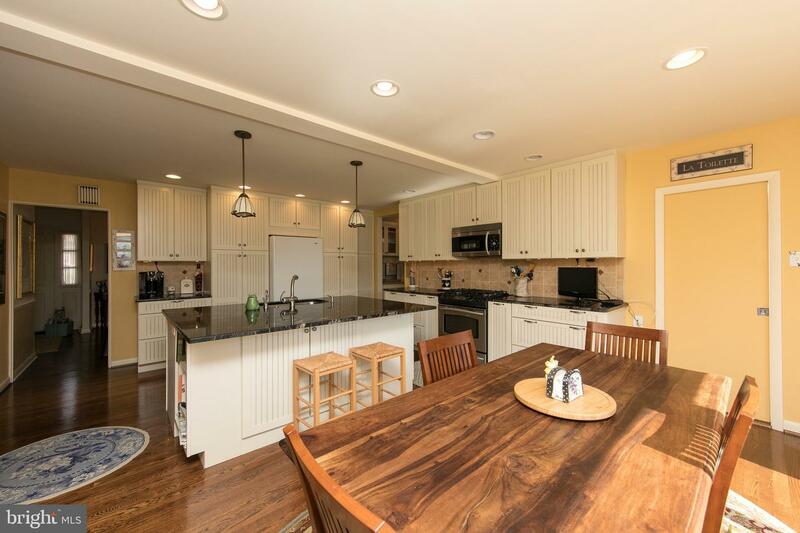 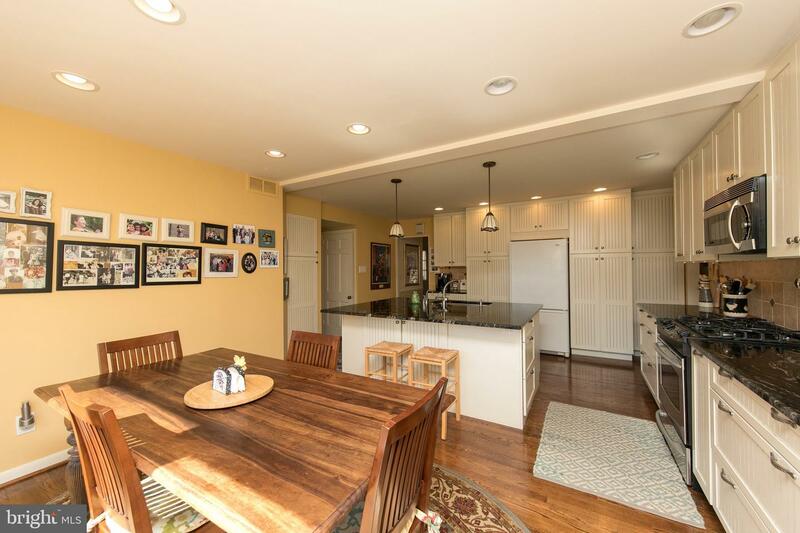 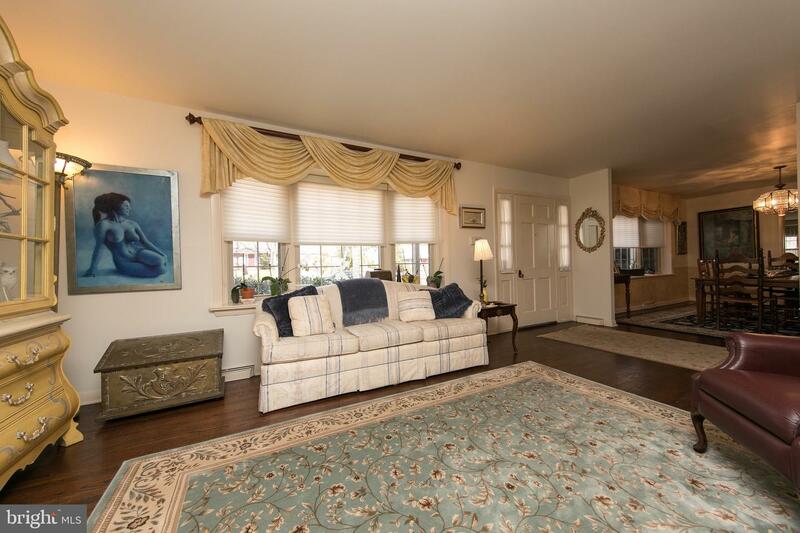 Located in the award winning Abington School District (McKinley Elementary), this home is within minutes of wonderful Alverthorpe Park, the Abington Art Center, Bird Sanctuary, Abington-Jefferson Hospital and Holy Redeemer Hospital, several train stations with easy access to Center City Philadelphia, Whole Foods, Trader Joe's and quaint shops and restaurants in Jenkintown. 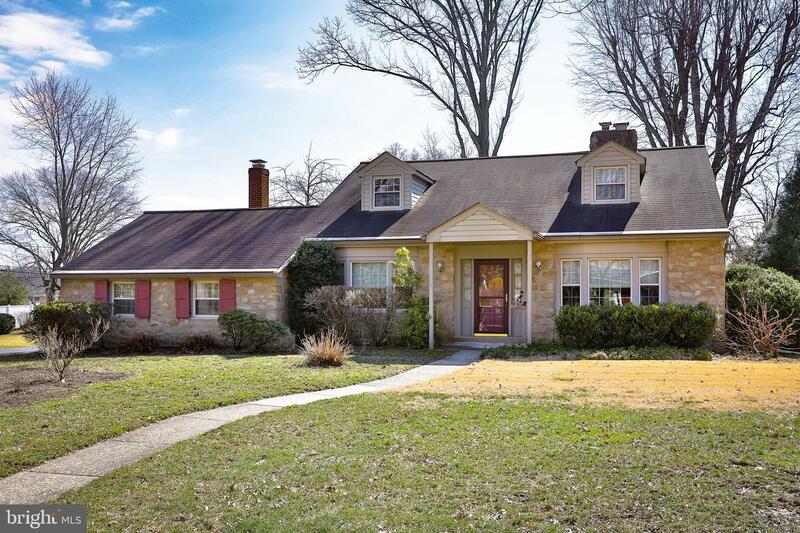 Crosswicks is a wonderful neighborhood and is a great place to live!